Cleverbrand's Burlap Plant Cover is the perfect way to protect your plants from the harsh winter. Use it to protect plants from windburn, freezing rain, snow, and ice. Yet due to it's natural properties it allows air and moisture penetration to keep your plants healthy for the spring bloom. Use it for temporary fencing, transplanting trees, seed starting, erosion control, and shade cloth. Our burlap plant cover will help your plants survive the winter. 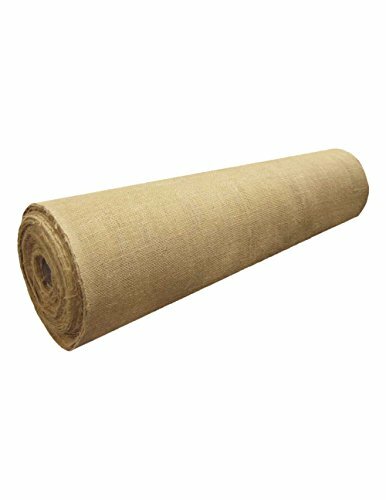 This 40 inch wide x 12 feet long burlap can easily cut down to size. It can also be used in the summer for sensitive plants that need shade from the sun. If you have any questions about this product by Cleverbrand, contact us by completing and submitting the form below. If you are looking for a specif part number, please include it with your message.